Update: Matt successfully completed his Rickshaw challenge yesterday (18th November) raising more than £1.26M for Children in Need. 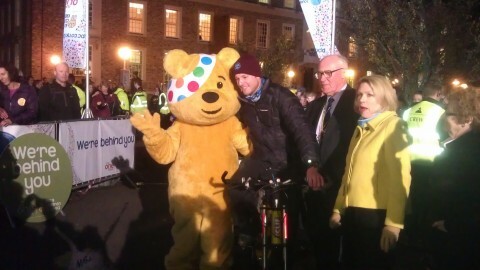 Matt (with Pudsey) arriving in Cambridge at the end of his penultimate leg. 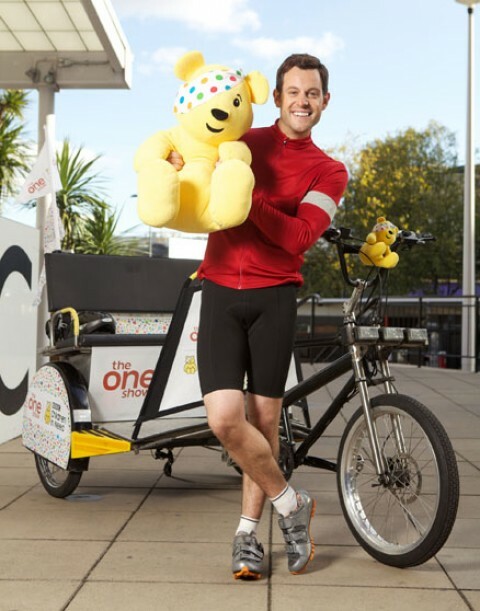 We are delighted to be helping Matt Baker with his Rickshaw Challenge for BBC Children in Need, by providing real-time location tracking. Using the BuddyBeacon feature of the ViewRanger mobile app, Matt’s supporters and the public can follow live progress of his epic journey by rickshaw from Edinburgh to London, which started earlier today. Matt’s rickshaw is kitted out with a smartphone to allow him to share his location to the web as well as for him to be able to attach twitter messages and images to the visual record of his journey as it unfolds. Similarly, it will help to ensure Matt’s support team and camera crew with ViewRanger on their phones will be able to get to the right place at the right time along the route. ViewRanger’s BuddyBeacon works by transmitting the location of Matt and his Rickshaw using the mobile network. The system allows this to be received by other ViewRanger users or via the web. Whilst Matt’s location will be visible to anyone, users can choose to protect who can view their location using a PIN code, so that it can only be seen by those that have the PIN code. It works globally (where mobile coverage is available) and can be used for peace of mind, meeting up or just for fun. They’ll be an opportunity to cheer him on each day at the start and finishing line each day. But the tracking website will mean that people can track his progress with images and messages.